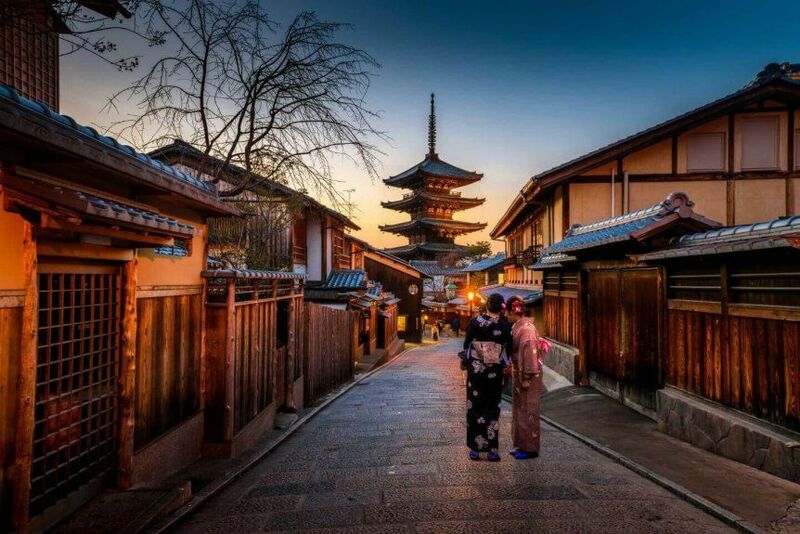 Here at TourismBuilder we’re big fans of Japan, and enjoy living in this beautiful, fascinating place. Whenever friends and family visit us here we enjoy showing them around and acting as tour guides, and we want to tell people around the world how interesting Japan is and invite them to visit. This love of Japan lead to us naturally working in the tourism industry. Prior to starting TourismBuilder we spent several years doing custom web development for the tourism industry in Hokkaido. Our clients were hotels, onsen resorts, ski resorts, cities, towns, tourism destinations, and in general what are known as destination marketing organizations (DMO). As a web design agency we did custom website development and provided consulting on digital marketing, optimization, SEO, SEM, online ad management, conversion optimization, analytics, PDCA, content creation and translation. Because the projects we worked on required several specialized staff members, they often took several months of planning, development, design and content creation, and usually cost more than 10 million yen. Although we enjoyed working with our clients to help promote Hokkaido as a tourism destination, we felt that the custom development we were doing was inefficient, and that with recent technical advances in the internet there should be a better way. We evaluated the needs of our DMO customers and realized that they shared many things in common. Although the content, branding, and story told by each DMO is unique, they all share a common information architecture (IA) and technical needs. We realized that we could package this common IA with cloud hosting and sell it on a subscription service instead of having to custom build it each time for every client. The benefit to our clients would be a much faster development time, and the benefit to us would be the ability to offer our services to more DMOs all over Japan and the world. After a few years of development and several iterations, we developed the TourismBuilder software. The following are the common problems DMOs have that TourismBuilder helps solve. The number one need that all our DMO clients had was the need to manage their content themselves on a daily basis. Destination marketing is by default content marketing. Interesting, attractive content must be provided on the website in order to tell the story of the destination and attract travelers, and this content needs to be kept fresh and up to date. A DMO can never have too much content on their website! Managing this content can be difficult though, and requires easy to use tools. If the DMO staff have to ask their “web guy” to do the work every time they want to update the website it can be very time-consuming and inefficient. For this reason the DMO needs a CMS which allows them to create and edit content themselves. 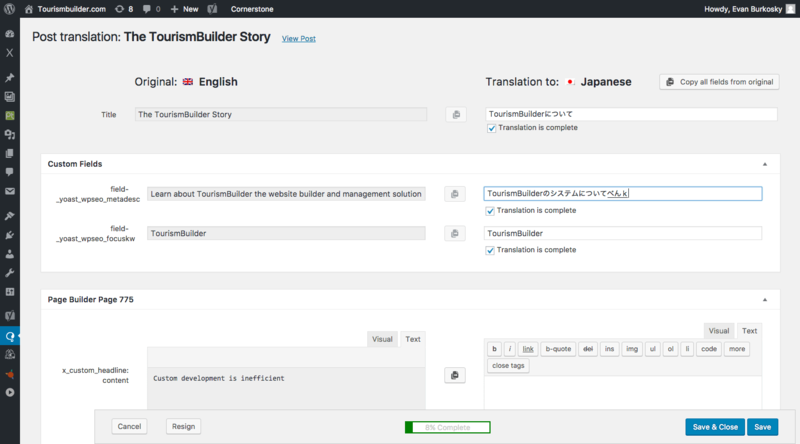 TourismBuilder uses the WordPress CMS because it is the most popular, and therefore best supported (most secure) CMS both in Japan and globally, and it has good documentation in Japanese. Having a CMS is a great start, but it’s often not enough because DMOs don’t only have to create great text content, they also have to make it look visually appealing to visitors. Without a graphic designer and coder on staff it’s difficult for DMOs to manage the layout and design of their website. 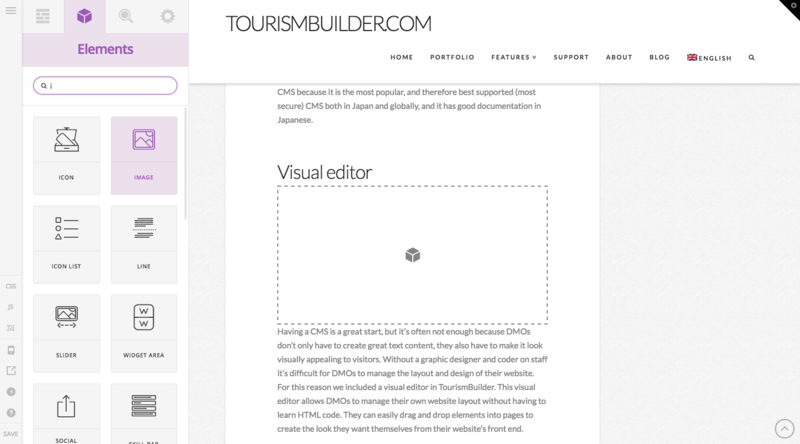 For this reason we included a visual editor in TourismBuilder. This visual editor allows DMOs to manage their own website layout without having to learn HTML code. They can easily drag and drop elements into pages to create the look they want themselves from their website’s front end. The next problem DMOs face in managing their website is that they often don’t speak the language of their visitors. DMO sites in Japan for example may need to provide content to speakers of English, Chinese, Korean, Russian, German, Spanish, French… and many other languages depending on their type of visitors. However, most DMO staff in Japan speak only Japanese and some English. How can they manage content for all those other languages? The answer is the TourismBuilder translation dashboard. We have included an easy to use system which allows every page of a DMO’s site to be translated into the languages of their visitors from a single control panel. TourismBuilder connects via API to several online translation services. DMOs create an account with the translation service of their choice and pay that service provider directly (not TourismBuilder). With a few clicks content is sent from the TourismBuilder control panel to the connected translation service, comes back translated to the target languages, and is automatically posted to the site. No copying and pasting required, no emailing translators. Simple and efficient. 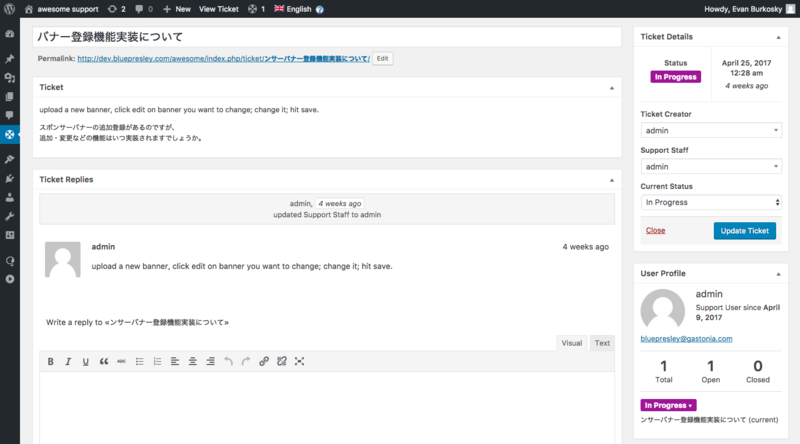 All translations are connected to the source language, making the site a truly multilingual website. Visitors can view a page in their own language, send it to their friend, and their friend can click the language selector to view the page in their own language. This makes the site very user friendly for international visitors. These interconnected pages are also great for SEO. A DMO website is not very useful if visitors can’t easily find it online via a Google search. It’s essential that the DMO be listed at the top of the search result for the destination’s keywords. We found that although our clients understood the importance of SEO, they didn’t know how to create search engine friendly content. To solve this issue we included an SEO evaluation plugin which allows them to easily set a focus keyword for their content, create custom meta descriptions, and evaluate their content according to SEO best practices. The plugin tells them when they have too little or too few keywords in their content and whether the content is well written or not. A simple color indicator tells them the health of each page on their site and what can be done to improve it. 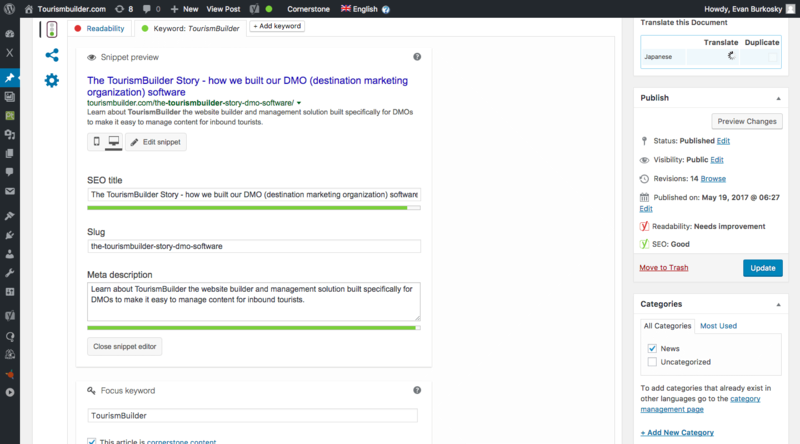 Using this plugin the DMO staff can easily optimize each page on their site. As mobile phone and tablet usage increases around the world, it has become essential for DMOs to create a mobile friendly website. This means a website which can be easily viewed on both PC, tablet, and mobile screens. The way to accomplish this is by creating a responsive website which automatically loads the correctly sized text, photos and other website content depending on the user’s screen size, and which loads quickly enough that users on mobile data connections won’t be discouraged by heavy page sizes and long load times. Having a mobile friendly website is so important that starting from March 2015 Google has included mobile friendliness into its search engine algorithm. Not only is it essential to have a mobile friendly site in order to make it user friendly, it’s also necessary in order to get a good ranking in the search engines and allow travelers to easily find the DMO site. This was a very important issue for our clients, so we built TourismBuilder to be entirely mobile friendly. Every page on a DMO’s site automatically sizes correctly to the user’s screen, and the entire system is built to load as quickly as possible. With the increasing popularity of social networking sites like Facebook, Pinterest, Instagram, and TripAdvisor, DMOs can benefit greatly from posting content on these social media channels. However, it’s important to think about conversion goals when using social media. We found that most of our DMO customers posted content on social media without planning what tourists should do after looking at the content. What should the next step be? Do DMOs want tourists to look at a post or picture on Facebook, Like it, and then move on? Or do they want tourists to look at a post, Like it, and then click a link that takes them to the DMO’s website where they can learn more information and plan their trip? The first action is beneficial for brand building purposes, because it helps create interest in the destination. But the second action is an actual conversion that can lead to the tourist becoming a visitor to the destination. Furthermore, managing content separately on both the website and social media channels can be time-consuming and inefficient. In order to both manage content more efficiently and ensure content posted to social media channels can easily convert to website visits, we recommend first posting content on the DMO website, then pushing it from the site to social channels with a link back to the website. 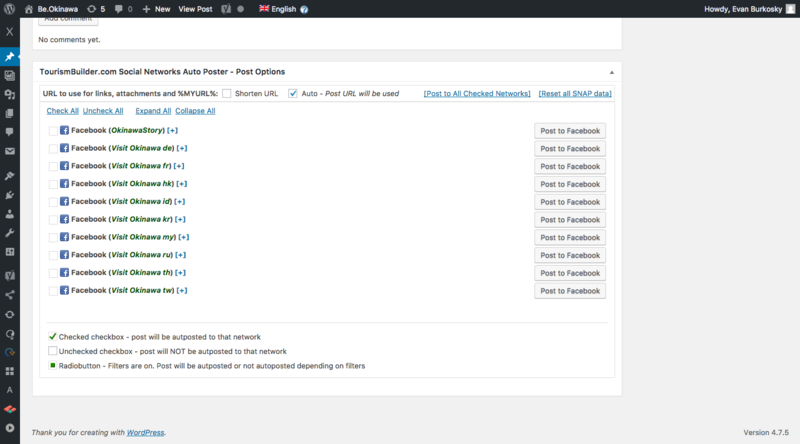 To make this easy to manage we developed a social media share plugin which allows DMOs to post content on their website and automatically push it to their social media channels with a link back to the site. Similar to how DMOs need to think about social media conversions (how content posted on social media will convert into website visits) they also need to think about KPIs (key performance indicators) for their website. In order to achieve their goals, it’s necessary to set KPIs to understand their business processes and benchmark how they are progressing. They can then improve operations using the PDCA cycle (plan, do, check, action). While it is difficult to track all of these just from the website, it is possible to get a large amount of data. 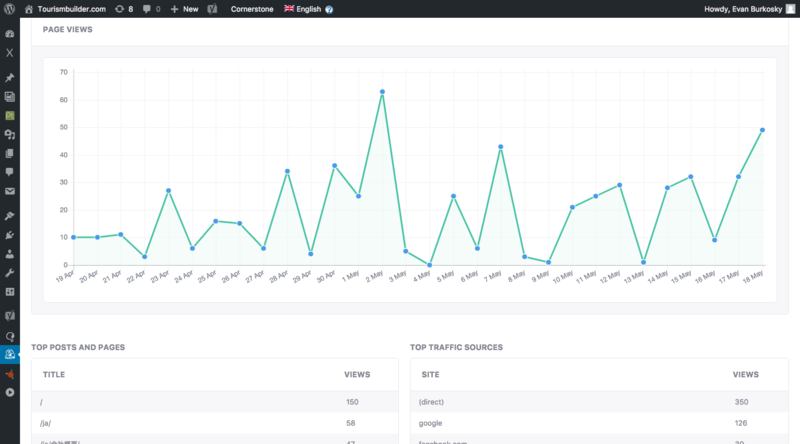 We have found that Google Analytics is the best tool for tracking website KPIs, so packed a simple Google Analytics dashboard into TourismBuilder. For clients looking for more advanced insights we can provide Google Analytics consulting as an add-on service. We mentioned above in the mobile friendly section how important it is that a DMO website load quickly for mobile users. This is also important for users from countries where internet connections may be a bit slow. If the site takes too long to load users will simply give up and leave the site. 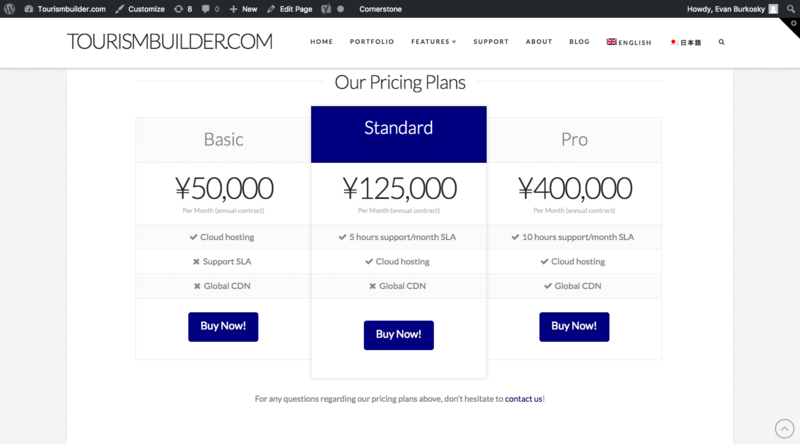 In order to ensure that TourismBuilder is as fast as possible, we host it on a leading Global cloud hosting provider which has 100s of data centers around the world. 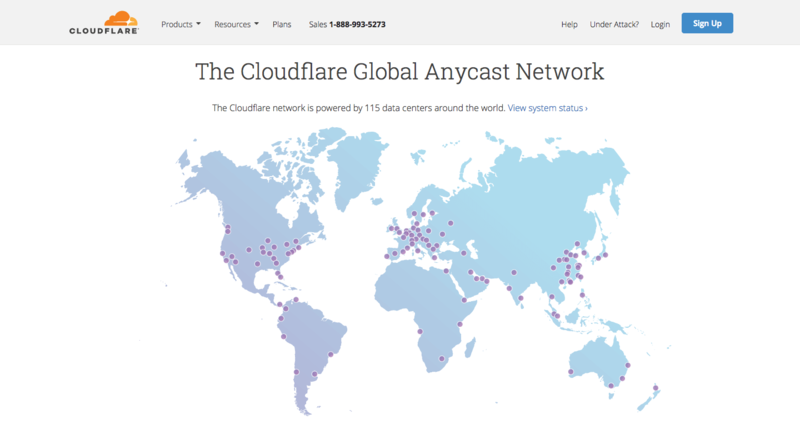 We further boost speed with a leading CDN (content delivery network) which has 115 PoPs (point of presence) around the world. This ensures that each TourismBuilder page will load in seconds. Furthermore this cloud hosted system allows us to run daily backups so that our client’s sites are always protected with a backup version no more than 24 hours old. Many DMO websites are built using CMS like WordPress, Moveable Type, etc. and hosted on either servers provided by the DMO’s web development vendor, or by servers owned by the DMO. Although this can be a great solution if kept up to date, what we usually see with our DMO clients is that the CMS, plugins, security software, web server OS, and associated web server software are not updated by the vendor and quickly get out of date. 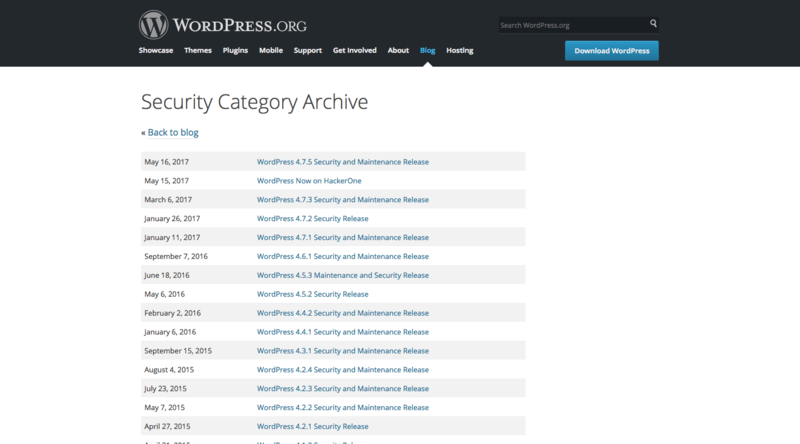 Most DMOs don’t realize that Open Source software like WordPress or the Apache software that runs most web servers need to be constantly updated to the newest version. Hackers around the world are constantly trying to find vulnerabilities in these software systems, so their developers release security patches and software updates. Missing even one update can be a major security risk. Unfortunately, we’ve seen DMOs with systems that are years out of date! This results in a major risk for being hacked. It’s not enough to “renew” the DMO website to the latest CMS and functionality every few years, the website needs to be updated daily. In order to provide the strongest security possible and fight hacking, all components of the TourismBuilder system are constantly kept up to date. This means that not only the latest security releases, but also the latest updates in functionality are always available to DMOs using TourismBuilder. It’s like having a new website every day! Even though TourismBuilder allows DMOs to manage their own content and translations, and important tasks like security updates and backups are automated, our clients still desire the reassurance that there will be someone to help them if they need a password reset, forget how to use a functionality, or have a new feature request. All TourismBuilder installs include ticket based support with a 24 hour response time during business days. We also provide a user manual and answers to frequently asked questions. TourismBuilder is sold on a monthly or annual subscription basis. Pricing is determined by the amount of content a DMO hosts on their site, their level of traffic, and add-ons such as KPI consulting services. Smaller DMO sites will be about ¥50,000 yen per month, larger sites for DMOs that are already world famous will be about ¥400,000 yen per month. Contact us to let us know your specific needs and budget, and we will work with you to create a pricing plan that works best for you. 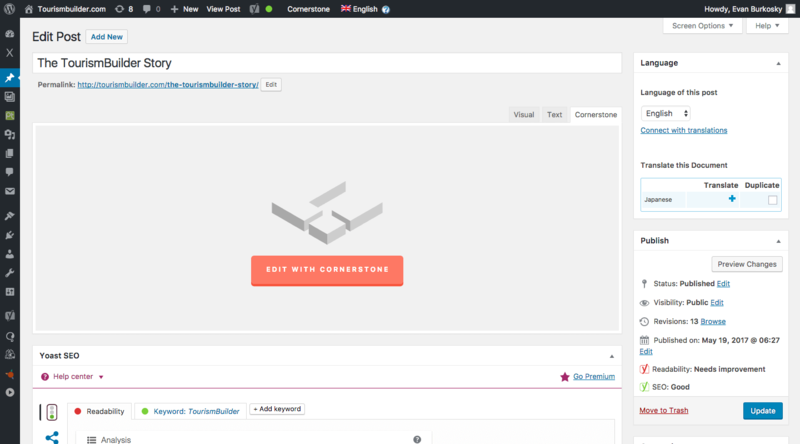 Announcing the Launch of TourSoft.co by TourismBuilder! Help Us Choose Our New TourismBuilder Logo! TourismBuilder New Version Coming Soon! SEO For Tour Operators - TourSoft.co on Why Your DMO Website Must be Mobile Friendly! How to Get Your Tour Marketing to Convert - TourSoft.co on Why Your DMO Website Must be Mobile Friendly! Are YOU the Perfect Art Experience Destination? - Peggy Burkosky on TourismBuilder New Version Coming Soon!